Always be sure to wash and dry your jalapeno peppers before pickling them. Also, sterilize any jars and jar lids before using. Boil them on the stove for a half hour, or throw them in the dishwasher for a cycle or two. Salt is used to take the moisture from your peppers. Moisture will dilute your vinegar mixture and cause the peppers to toughen. Table salt is not the best choice here. Use cooking salt instead. Table salt contains more iodine and will make your peppers turn dark or discolored. It is recommended to use vinegars of 5% acidity (50 grain), and bottled vinegars (malt, distilled, wine, cider, spiced). For peppers, use cold vinegar since the peppers are crisp. Everyone wants their pepper to remain crisp instead of soggy. Cover the peppers with vinegar by at least 1 inch. Powdered spices will cloud the vinegar solution, so it is best to use whole spices for flavor. Mixed pickling spice contains equal amounts of stick cinnamon, allspice berries, cloves, mace and peppercorns. Extras can include root ginger, celery seeds etc. Use un-chipped enamel, aluminum or stainless steel pans. Copper, brass and iron pans will react with the vinegar, giving an off taste. Jars must be sterilised and well sealed. Metal lids will corrode on contact with the vinegar. Kilner jars, with their rubber sealing rings, are recommended. Read more about Pickling Safety here. Allow a minimum of 2 to 4 weeks for pickled peppers to mature. Crisp pickles will tend to soften after about 3 months. This is a bit like you'll find in Mexican restaurants. Great when you want to serve the peppers as a side dish or at a picnic, especially if you like spicy carrots like I do. Bring the white vinegar to a boil in a small pot. Add the sliced carrots, boil 10 minutes. Add remaining ingredients. Simmer 10 minutes. Remove from heat. Pour Contents into a jar, screw on jar lid, and let cool. Poke a small hole in each jalapeno, then blanch for 4 minutes in boiling water. The holes will keep the peppers from collapsing. Add the peppers to the jars. Before the peppers cool, add onion, garlic, basil, oregano, thyme, and olive oil. Pour in boiling brine solution. 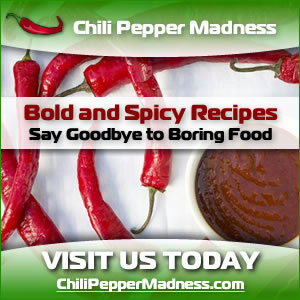 Ideally, you will have this mixture begin to boil as you begin to blanch your peppers. Cap the jar tight and boil in boiling water for 15 minutes. Allow to cool, and refrigerate. Please NOTE: The jalapeno peppers have to be HOT when you add your brine. Any other questions on pickling peppers? Drop me an email and I'll see if I can help.